There are over 6500 spoken languages around the globe, spoken by people from various countries in the world. Although they are spoken by different people, different languages usually share various qualities. They might share grammar, which refers to a language’s structure or its entire system. They might also share their pronunciation or even their sentences structure. Speaker of one of the languages that share such qualities might find it quite easy to learn the other languages. They are likely to learn the language faster than a person whose language does not have any qualities similar to that of the foreign language. For instance, an English speaker of German origin would find it easy to learn Spanish. The two languages have similar vocabularies and a common sentence structure. The similarities in languages also apply to the Korean language also known as “Altaic” and the language of the Japanese, otherwise called “Japolic”. Because of the shared qualities of these two languages, their speakers can easily learn the language of the other. One may be wondering, can I learn Japanese and Korean at the same time? This is very possible considering their similarities. Also, if one is already fluent in one of the languages, then it would do no harm trying to learn the other. For those that are unsure and are trying to find out what is better to learn Japanese or Korean, they would be better placed to go for both. Why not learn them concurrently when the chances of getting both are high. Can I learn Japanese and Korean at the same time? One of the languages qualities shared by the Korean and Japanese languages in the sentence structure. Sentence structure is a phrase that refers to the grammatical arrangement of a sentence constructed in a particular language. It determines where the verb, as well as the noun, are expected to fall for a particular language. The structure of a sentence in the Korean and Japanese language start with the subject. The subject of a sentence may be a person, an idea, a place or a thing. The subject is then followed by the object of the sentence, and at the end is the verb. This is top on the list of why learn Korean or Japanese together list. The words in the sentence are joined together by particles. For those asking how to learn Korean and Japanese at the same time, you will not have to stress about learning the sentence structure of the two. Their sentence structure is also similar to that which is commonly used for the English sentences, which is an added benefit to the English language speakers with an interest in studying the two languages. This is because prior knowledge of this sentence structure accelerates an individual’s learning process and comprehending the grammar of similar syntax. This forms the basis of how to learn Japanese and Korean efficiently. When we are advising those at the crossroads on what is better to learn Japanese and Korean, they should learn both because in addition to the two languages sharing the structure of sentences, the particles of the two languages are also similar. In grammar, a particle is that word or even part of a particular word that is useful in grammar and it may or may not have a meaning when used alone. These similarities are why learn Korean or Japanese together is a great idea. Particles are regarded as an essential aspect of these two languages. Their grammatical function in the Japanese and the Korean languages in not only to connect various words but also used to compose the meaning the sentences. Wondering how to learn Korean and Japanese at the same time? For someone asking how can I learn Korean and Japanese at the same time, they should know that this tiny similarity between the languages, makes their process of learning so much easier than if they were trying to learn dissimilar languages. These particles are known to be confusing for learners. They are the main reason learners fear learning the Korean and the Japanese language. In this case, those that have mastered one of these languages are particularly lucky, since learning the particles of the other, will be a smooth process. Language students often ask, What is better to learn Korean or Japanese? This question becomes simpler to answer when they get in-depth knowledge on the similarities of the two. Then, they are no longer interested in just one of them, but both. The lexical similarities of the languages are the most thrilling common factor of these two languages. A lexical definition is the dictionary definition of a particular term. 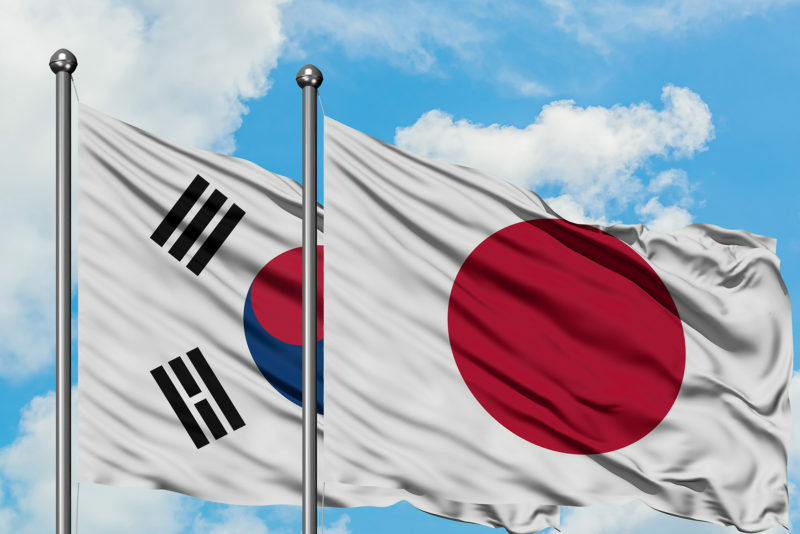 Japanese has a differing writing system to that used for the Korean language, however, regardless of this difference, their lexical similarities cannot be ignored. Can I learn Korean and Japanese at the same time? Well yes you can! with manageable effort. The Chinese language, which is known to have existed thousands of years back, has lots of influence on languages including that of the Koreans and the Japanese. Because of this influence, some of this language’s characters were adopted into the Korea language and the Japanese language. The common words that were developed from these characters have a common pronunciation. Therefore, when one is asking what is better to learn Korea or Japanese, they should know that the two are quite similar. The languages also happen to have also borrowed words from other languages such as German. The final similarity in this analysis is the cultural similarities. Language and culture are usually intertwined and their relationship is deeply rooted. Language is a medium through which the culture of the people is conveyed. Japan and Korea are located close to one another, and even though their cultures differ in some aspects, there are quite similar in others. It is an indication one should not spend time debating what is better to learn Japanese or Korean, because learning the two languages, will provide them with the exposure of the unique cultures of these countries. What is better to learn Korean or Japanese? Well. The answer is both. After this short highlight on how to learn Japanese and Korean at the same time, you can see that it is actually beneficial to combine them. You no longer have to keep asking yourself ‘can I learn Korean and Japanese at the same time?’ You will just be holding yourself back. Learning the languages will also be useful in helping someone to tell apart the two cultures and also identify their similarities. The common cultures in the two communities are work ethic, their drinking culture, to mention few. They also happen to be two countries that relate well concerning economic matters. That is why we combined this how to learn Japanese and Korean piece to help you embrace the spirit.